His first novel, Cogrill’s Mill, was released as an e-book in 2005 and as a paperback book in 2009. He decided to use the penname of Jack Lindsey for this novel to separate his fictional work fromthat he has published as a microbiologist. A second novel, Victim of Compromise was published on 15 February 2010. The story is darker and more explicit than the first novel so it is published under a second penname of Luke Johnson. Crime and Passion, a collection of twelve contrasting short stories by Luke Johnson and Jack Lindsey, was published in ebook format in August 2011. This was followed by a series of three audio books at the end of 2011 and the beginning of 2012. 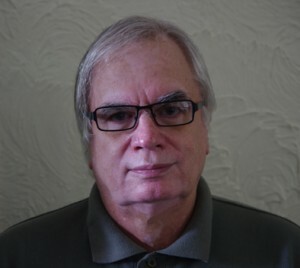 A second Jack Lindsey novel, Gifford’s Games, was launched in June 2012 in the month preceding the London Olympic games. However, it is billed as having nothing to do with the Olympics but everything to do with games. A multimedia epub format of Crime And Passion for mobile devices and computers that can play MP4 and MP3 files was launched on 29th May 2013. In October 2013 he published his first non fiction book, American Road, as an ebook in kindle and epub formats describing a motorcycle journey in words and pictures he undertook in the Southwest of the USA during 1982. Then following successful sales on Amazon he followed this in April 2015 with the publication of Bike Travelling Man in Kindle format describing his experiences with two motorcycles. He lives in Woking, England and spends a lot of his time writing and travelling. I have always loved stories and storytelling. My mother used to read to my brother and sisters and myself before we went to bed and on long car journeys. I grew up in the age of radio so I was always listening to people recounting their experiences. Thus from an early age I began making up stories myself with invented characters and adventures. Then in my early teens I started setting them down on paper. My writing process seems pretty straight forward to me. I am always making up stories in my head and mulling them over. Then when I think that the story sounds interesting, I find it hard to develop it further my simply thinking about it so I have to start writing. Before the age of computers it was on paper, then a small portable typewriter and now using a word processor. I start writing at the point where for me the story begins and let the narrative flow until I reach a conclusion. Then I go back and revise. I revise and redraft a great deal. The beginning, the end, the title and the names of the characters may change, but I rarely change the characters themselves. I try to give the characters a distinct voice. I hear them talking in my head with distinct accents. I try to convey those accents on the page in dialogue which has to approximated to make it understandable to the reader. My first draft is mainly dialogue, then when I revise I add much fuller descriptions. I have learnt that the most important thing when writing is to get your narrative down on paper or wordprocessor screen as soon as you can and not to worry about spelling or structure. This makes the story flow. There is plenty of time later when revising to go back and correct mistakes. It is extremely difficult, almost impossible, for an unknown writer who is not a celebrity or has no contacts in the literary world to be published. After submitting my writing to agents, I received some encouragement, but no one wanted to take a chance on me. I also heard some horror stories from writers I met who were bound by rigid contracts that they had difficulty in getting out of. So I decided to self-publish and started my own publishing company. I think book publishing will go the same way as the music industry where recording artists produce their music on their own labels and rely on downloads rather than hard copies. But there will always be readers who will prefer the feel of the physical book. It is more portable than digital as you can take it anywhere. Thus ebooks and physical books will co-exist for a long time yet.